As Iceland’s biggest city and capital, Reykjavik has been experiencing a tourism boom as of late. The city has become a popular destination as more people come to know about its interesting food scene, the proliferation of local street art, the characteristic colourful architecture, and the stunning natural landscape surrounding this compact city. It may be one of the smallest capitals in the world but it certainly packs a punch in terms of attractions and things to see. Whether you visit to experience the ethereal Northern Lights in the Winter, or enjoy the nearly 24 hours of sunlight in the Summer, Reykjavik offers the culture of a modern European city paired with the natural beauty of a far-off wilderness. 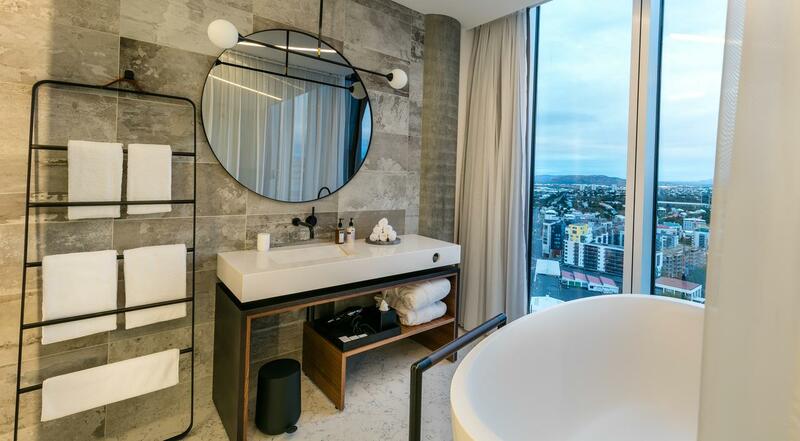 If you are ready to plan your visit the Reykjavik, check out our handy guide to the top hotels in the city. From cosy boutique hotels to minimalist luxury, these hotels all pass the The Luxury Editor’s taste test…. We visited Iceland and have some tips for the best places to stay if you are basing yourself in Reykjavik. Alda is super stylish, contemporary and in one of the best locations in the city, right on the main shopping street Laugavegur. Heavily Nordic inspired from the rooms to the beautiful communal area’s its a complete bolt-hole and the perfect place to retreat too after an energetic day exploring. 65 rooms in capacity; rooms have views over Faxaflói bay and to Mount Esja. 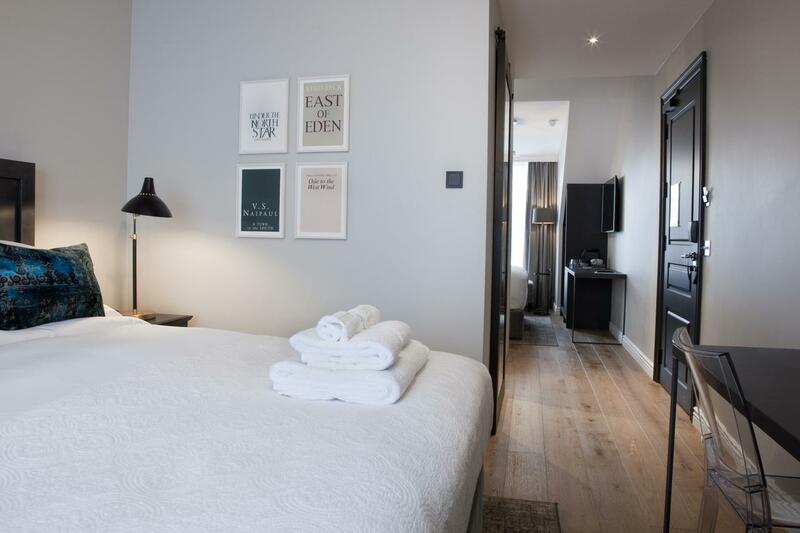 Bedrooms have wooden floors and benefit from a minimalist layout, extra touches include bedside Anglepoise-style lamps and powerful walk-in showers. We loved the onsite Barber shop at the entrance which was fully booked out when we were there. Like Alba the Hilton Canopy is in one of the best addresses in the city, just off Laugavegur at Hverfisgata Street. Six former houses have been connected into one hotel in what was originally a furniture factory from 1937-1963 and then a popular music and culture venue. Like the Alba the Canopy is Nordic in style with nods to local Icelandic design and culture. Rooms and suites are decorated in greys and blues (volcano and sea), local artists work dot the walls and cute touches like the music boxes that play Icelandic lullabies finish the rooms off. This was the first luxury hotel to be put up in Iceland. It combines the elegance of high-end art deco with contemporary style. The hotel has numerous amenities, including a relaxation annexe, gym, sauna, steam bath treatment rooms and a spa. Their rooms are adorned with custom-made furnishings, hastens beds, spanning cupboards and elegant Bang & Olufsen TVs. Their restaurant is run by an award-winning chef whose main focus is on refined Icelandic cuisines like langoustine, Arctic char and beef tenderloin. Make a point of visiting their bar for delicious cocktails that are normally prepared using homemade syrups. Do not get dissuaded by the rugged-looking exterior of this hotel as the interior is very impressive. You can expect nothing short of modern style that combines a collection of artworks from local artists and antique furnishing. The public area of the hotel is normally decorated with temporary exhibits. All the facilities offered in this hotel are exceptional. They range from a basement gym and spa that has a steam bath to a hot tub and plunge pool. 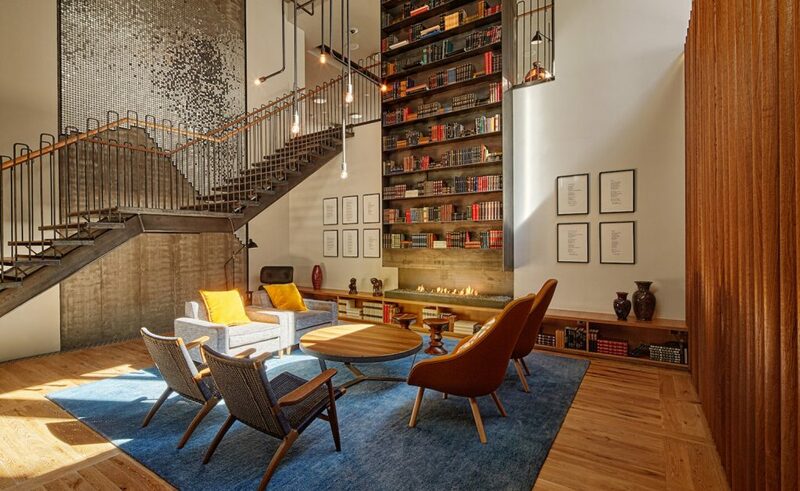 The 101 hotel also offer their clients in-room spa treatments and a DVD library. Their reception remains open 24 hours a day where you will be served by attentive staff members and also get concierge services. 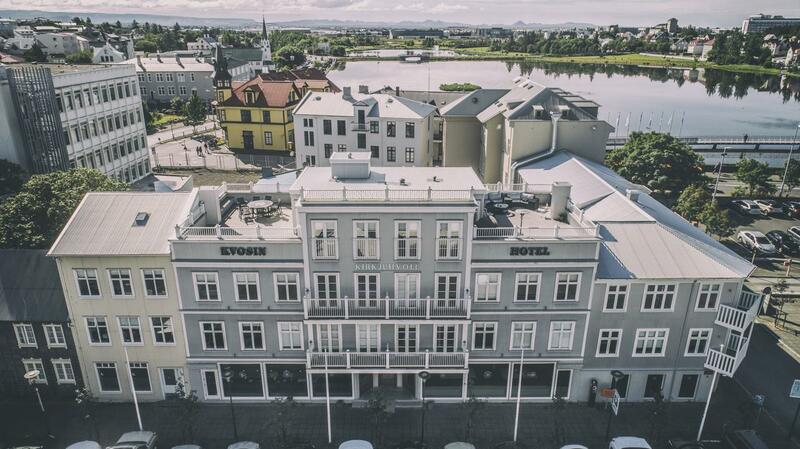 This is a new boutique hotel right in the middle of Reykjavik. 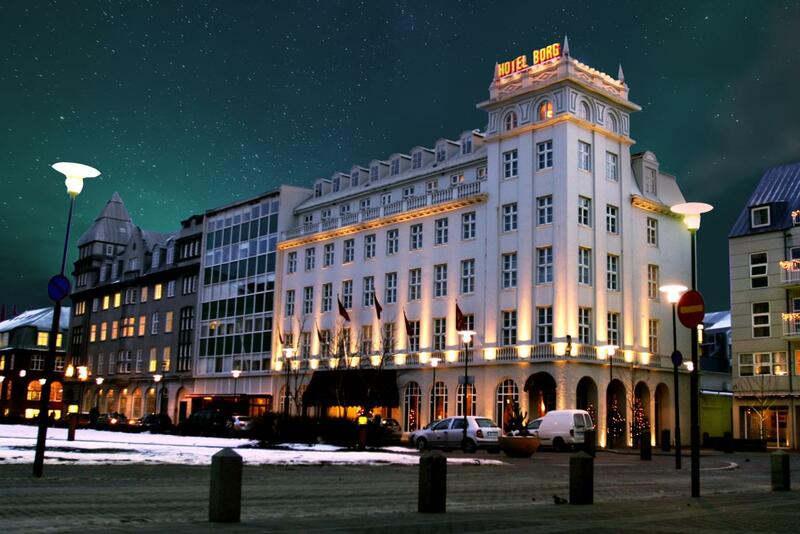 Its strategic location offers the guests the pleasure of enjoying the lively Reykjavik cultural life. You will find numerous Iceland natural marvels nearby when you choose to stay at the Sandhotel. They have decorated their rooms with a combination of art designs that explain the history of the surroundings and contemporary artwork that sets each room apart. The rooms are designed with only the guests’ comfort in mind. You will have some of the best moments when you spend a night or two there. 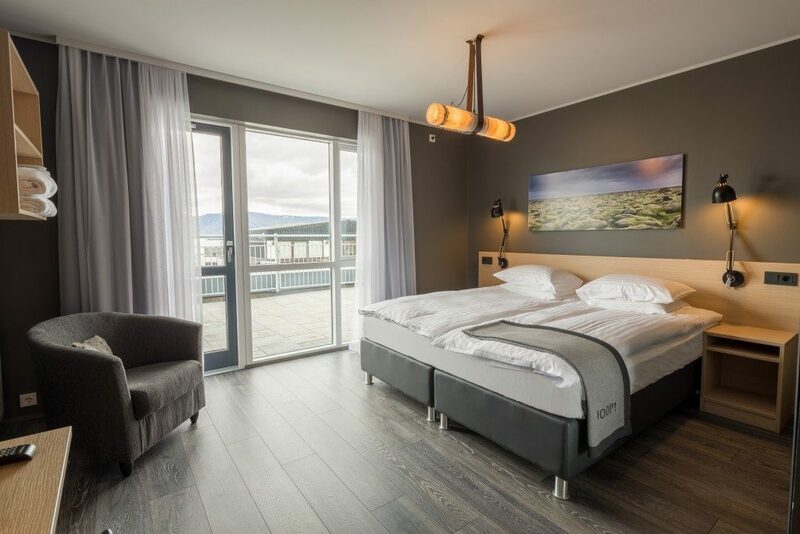 The Tower Suites in Reykjavik is also a new private hotel that is designed for people who fancy comfort or those looking for an adventure. It is comprised of eight suites that are on the 20th floor of one of the most iconic buildings in the city. The skyline is one of the great things you will love viewing from this hotel. Every suite has its own character and is filled with panoramic views all around. You will get a one-of-a-kind view of the city and a neighbouring mountain range. In some of the suites, freestanding bathtubs and beds face floor-to-ceiling windows. This means that you get to wake up and bathe to some exciting 360 degrees unforgettable views. Enjoy the luxuries of a nearby wellness and fitness spa too. This is a 19th-century hotel that is designed with modern Scandinavian décor. You can find it near the city hall in the downtown area. Their suites are spacious with beautiful art, big private balconies, Wi-Fi, coffee machines and full kitchenettes. 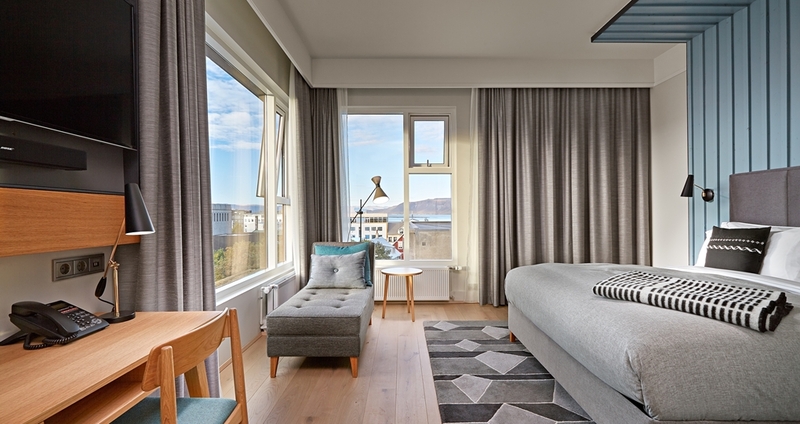 Some suites have two balconies that overlook Reykjavik, a huge living area and a second bedroom that is equipped with bunk beds. Their bar stocks some of the best wines, gins and whiskeys. They also offer 24-hour concierge services.